With many forms of Buddhism being available to the west, more people have options for practice than they did 100 years ago. If someone was born in Tibet or Japan, they would practice whatever was avaible. In the west, people have more freedom to make choices. Sometimes this is good because it builds awareness. Other times it can be dangerous because our consumer mind jumps into the “spiritual marketplace,” and tries a bit here and there, without really comitting. I think however, it is possible to practice different forms of Buddhism, as long as the traditions’ techniques and methods are honored, without jumbling it all up into a big soup. I was down at a Vietnamese monastery, and some of the monks and nuns practiced Vajrayana along with their Zen practice. They seemed to balance the two practices very well. I was also listening to an audio recording of a Tensho or Zen teaching (4 Veils Part 1, 4 Veils Part 2), and the Zen teacher was giving a teaching of something that came from the Tibetan tradition, and then explained it from the Zen perspective. In a way, he seeingly bridged the two traditions. I thought I would summarize a couple of the key and interesting points he made, and maybe add some of my own observations. The Zen teacher who gave the Tensho made an interesting comment, in comparing Tibetan Buddhism and Zen Buddhism to trying to explore an ocean. In Tibetan Buddhism, a person circles around the ocean, exploring its vastness, and gradually makes its way to the ocean floor. In Zen Buddhism, a person dives straight for the ocean floor, and then moves upwards and circles, exploring the rest of the ocean. In the example, the ocean is the vastness of the mind, and the ocean floor is like an understanding of the nature of the mind. In the Tibetan tradition, a person works on a gradual method. One learns about refuge, karma, death and impermance, the altruistic intention, etc. This is supplemented with Ngondro, a practice where someone does 100,000 prostrations, offerings, mandala offerings, etc. It’s a gradual training of the body, speech, and mind until everything is moving in the same direction. When a person is prepared, then they take on higher practices like the highest classes of tantra, mahamudra, or dzogchen. Once a person has cleared away karmic obstructions and accumulated merit, they’re more prepared to see the empty nature of the mind. In this sense, a person is circling the ocean and moving downwards, until they’re ready to touch and explore the ocean floor. From what little I know of Zen, Zen does have some have gradual training. I think this is more obvious in the Rinzai school where they gradually work through Koans. However, the idea of Zen is to move past the conceptual and logical mind by constantly trying to move into a state of nonduality. 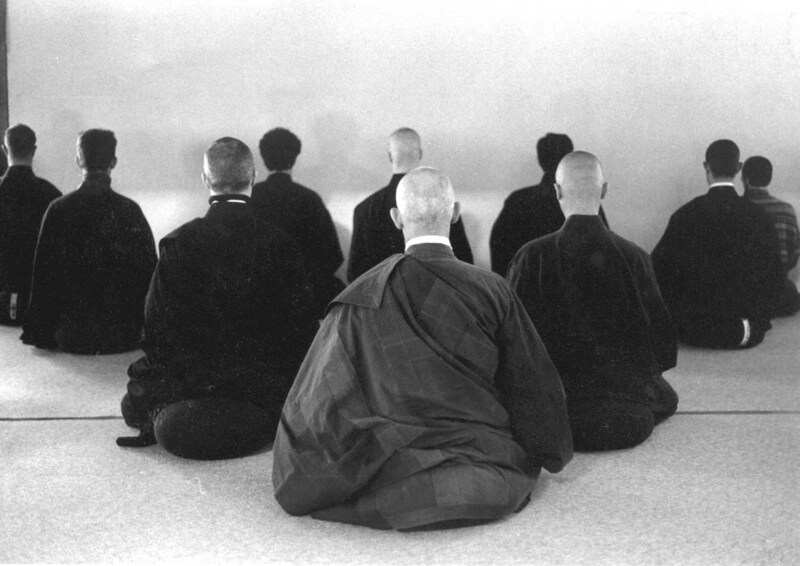 A person builds up steam by sitting Zazen and doing sesshins or long sitting retreats, and they carry that momentum into their everyday lives. Even doing simple activities like washing the dishes or sweeping a courtyard or chopping carrots builds up wisdom, until eventually a person has an experience of satori, or a flash of sudden awareness. After this awareness occcurs, they have to constantly re-familiarize themselves with it. In a sense, they dive to the ocean floor as quickly as possible, then circle and explore everything on their way up. Both methods, in theory, sounds very systematic and simply need to be followed to gain a result. I think in reality, it will take most “normal” people many lifetimes to bring the practice to fruition. Both schools really stress the importance of having a teacher. In Tibetan Buddhism, practicing the highest classes of tantra, mahamudra, and dzogchen is ineffective without correct guru devotion. The example given is like a snowy mountain. Without sun, the snow won’t melt and give water to the valleys below. In the example, correct “guru devotion” or reliance is like the sun, and the melted snow coming down is the sustenance for practice. In Zen, there’s more skepticism involved in the teacher-discple relationship. However, its important to establish one nonetheless. I’ve heard f Zen people roughly say that only 1 in a million people get enlightened without a teacher. In the Tibetan Buddhist tradition, it’s the students responsbility to check out a teacher before accepting them. There are actually 10 points or criteria for examining a qualified teacher. My experience is that, its more important to work on becoming a qualified student, than it is initially finding a qualfied teacher. The Tibetans have a saying that when there is a qualified disciple, a master appears. I’ve heard Zen teachers say the same thing, so there’s probably truth to this.